Associate Minister of Health Tariana Turia announced today that the Smoke-free Environments (Tobacco Products and Packaging) Amendment Bill has been lodged with the Clerk of the House, ready for a first reading soon after Parliament resumes in the new year. “I look forward to taking the legislation through its Parliamentary stages in 2014. That will include a select committee phase and the opportunity for people to make submissions on the bill,” says Minister Turia. “The Government takes all its international obligations seriously, and that includes both WTO agreements and the United Nations Tobacco Treaty (officially titled the World Health Organization Framework Convention on Tobacco Control). These agreements and treaties can and should work together to boost both international trade and public health. Plain packaging is a good example where we can achieve both objectives,” says Mrs Turia. Johannesburg – A prominent Zimbabwe tobacco company, with ties to President Robert Mugabe, is suspected of smuggling millions of Rands worth of illegal cigarettes into South Africa in what is thought to be a bid to help boost the country’s ailing economy. The Sunday Times reported that Zimbabwe’s Savanna Tobacco is owned by prominent businessman Adam Molai, who is married to Mugabe’s niece, Sandra Mugabe. Savanna Tobacco is believed to have moved tons of contraband into South Africa. Savanna’s main brand, Pacific cigarettes, is allegedly being smuggled into the country and sold primarily in Cape Town. In the past, Mugabe has openly supported Savanna and only a year ago accused rival company British American Tobacco (BAT) of spying on Savanna and hijacking its trucks. E-cigarettes could be banned under rules drawn up in Brussels to curb nicotine levels. European officials claim the devices ‘normalise the action of smoking’ and should be subject to the same rules as other tobacco products. But critics warn plans to impose nicotine limits mean all e-cigarettes currently on sale in Britain would be outlawed. Imperial Tobacco Group Plc and British American Tobacco Plc (BATS) fell in London after the U.K. reversed its position on plain cigarette packs, announcing a review of how the policy is working abroad. Imperial fell as much as 3.2 percent, while BAT slid as much as 1.7 percent after Health Minister Jane Ellison said the U.K. will assess the subject, only four months after the government postponed plans to introduce plain packaging. Australia became the first country to introduce plain packaging in December. All cigarettes in the nation must be sold in uniform packs, with the brand name displayed on a brown background on the bottom quarter of the pack. The law is being challenged at the World Trade Organization and at arbitration. According to Chris Wickham of Oriel Securities, who has a buy recommendation on Imperial Tobacco, plain packaging has made little difference to sales where it has been tried. Still, today’s U.K. news is disappointing “given expectations that global tobacco legislation would become more evidence- or scientifically-based,” the analyst wrote. Imperial Tobacco, the second-biggest maker of cigarettes in Europe, gets 20 percent of profit from the U.K., according to Oriel estimates. BAT makes only “a modest amount” of money in the region, Wickham said. Imperial traded down 66 pence, or 2.8 percent, at 2,295 pence at 9:32 a.m., giving the company a market value of about 22 billion pounds ($36 billion). BAT fell 29.5 pence, or 0.9 percent, to 3,243.5 pence, valuing it at 61 billion pounds. BAT supports “balanced and evidence-based tobacco regulation that helps governments to achieve their public health objectives,” Kingsley Wheaton, director of corporate and regulatory affairs at BAT, said by e-mail today. Australian plain-packaging measures haven’t reduced legal sales of tobacco in the country and have “coincided with an increase in illicit trade,” Wheaton said. He called for “much more robust research” by the U.K. government into tobacco-control regulation. Spokespeople for Imperial Tobacco were not immediately able to comment when contacted by Bloomberg News. As the European Union hammers out final details of a new tobacco products directive, revelations about the extent of industry lobbying have made waves – and maybe even turned the tide. European Parliament member, Matthias Groote, a Social Democrat from Germany, was puzzled when he found out that he had been categorized as “tobacco-friendly.” Perhaps his willingness to discuss had been misinterpreted, he thought. “I’m accustomed to talking with all sides, and listening to arguments that do not come out of a textbook,” Groote told DW. Groote, in his position as head of the EU parliamentary health committee, plays an important role in European tobacco policy – and he is among those sitting at the table in discussions over a compromise on the directive. In October, the European Parliament approved a draft law that would require graphic and descriptive warnings covering 65 percent of cigarette packs, ban the sale of flavored cigarettes and regulate e-cigarettes. Now, the European Parliament and European Council of Ministers – an EU body traditionally considered to be somewhat more industry-friendly – are seeking to finalize the legislation before it is presented to member states. The extent of the tobacco industry’s lobby – revealed in recently leaked documents – has not only caused a stir, but has also likely affected the directive’s outcome. Ontario’s Liberal government plans to amend legislation to ban smoking on all restaurant and bar patios as well as at playgrounds and sports fields, Health Minister Deb Matthews announced Wednesday. Restaurant and bar owners know that the majority of people don’t want to be exposed to second-hand smoke on patios, Matthews said as she announced a series of measures to lower Ontario’s smoking rate. The Ontario Restaurant, Hotel and Motel Association complained the government didn’t consult the sector before announcing the patio ban, and said there was a real “fear” among some business owners that they will lose customers, and money. The New Democrats were worried the Liberals wouldn’t have the resolve to stand up to the expected opposition to the smoking ban on patios. “You have to be ready to defend this to a lot of people who will push back, and my experience with them is when there is a push back they disappear into the woods,” said NDP health critic France Gelinas. The Cancer Council believes a progressive increased in tobacco prices set to begin next month could stop 250,000 people from smoking. The tax on cigarettes will rise 12.5 per cent each year for four years from December 1. This year smokers will pay $2.50 extra for a packet of 20 cigarettes – by 2016, it will be an extra $5.25. The tax is in addition to increases occurring as a result of indexation arrangements and was introduced by the former federal government. Cancer Council chief executive Penny Egan applauded the move. “Australia falls below the World Health Organisation best practice for tobacco tax, which is set at a minimum of 70 per cent of the total price,” she said. “In Australia, tobacco taxes make up less than 60 per cent of the final price, so these increases will put Australia closer to the WHO targets for public health outcomes. “Tasmania has the highest smoking rate of any state in Australia at 21.7 per cent, and increasing the price of tobacco is the single most effective way to reduce smoking prevalence. “A 10 per cent increase in the price of cigarettes will result in a reduction in consumption because more adult smokers will quit, less young people will start smoking and others will reduce their daily cigarette intake. Civil Liberties Australia state spokesman Richard Griggs didn’t believe the tax would have such a strong impact. “In an ideal world, increasing taxes would see a reduction in smoking, but really we don’t live in a perfect world,” he said. “Some people, no matter what the price, will keep smoking. Higher “sin taxes” appear to have dampened demand for Marlboro and Fortune cigarettes this year, as Philip Morris International Incorporated (PMI) said its sales volume in the Philippines fell 21% in the first nine months. PMI, Lucio Tan’s partner in PMFTC (Philip Morris Fortune Tobacco), said it saw a bigger drop in sales volume in the first 9 months of the year, compared to the industry’s 6.7% decline, as smokers reduced purchases or switched to other brands. “(This is) primarily reflecting the unfavorable impact of the disruptive excise tax increase in January 2013,” PMI said. The Sin Tax Reform Act, which sets higher levies on tobacco and alcohol products, took effect on January 1, 2013. The tobacco firm also noted its market share has fallen to 77.2% as of September, from 90.8% a year ago. “PMI’s market share in the [third] quarter decreased by 13.6 points to 77.2 percent primarily due to downtrading to competitors’ brands,” it added. PMI said its market share of its premium brand Marlboro dropped by 5.9 points to 15.3%, while share of low-priced Fortune fell by 22.6 points to 27.5%. The company said the decline of Marlboro and Fortune’s market share was partially offset by gains from its other low-priced brands. Liggett Group announced Wednesday that it would pay $110 million to settle thousands of Florida lawsuits accusing the tobacco company of concealing the dangers of smoking cigarettes. The out-of-court settlement will resolve nearly 4,900 of the 5,300 lawsuits pending in Florida against Liggett and its parent company, Vector Group Ltd (VGR.N), according to the company’s statement. The agreement is expected to be finalized within 90 days, and will entail a lump-sum payment of $61 million, with the remaining $49 million being paid in installments over 15 years to the plaintiffs, the statement said. 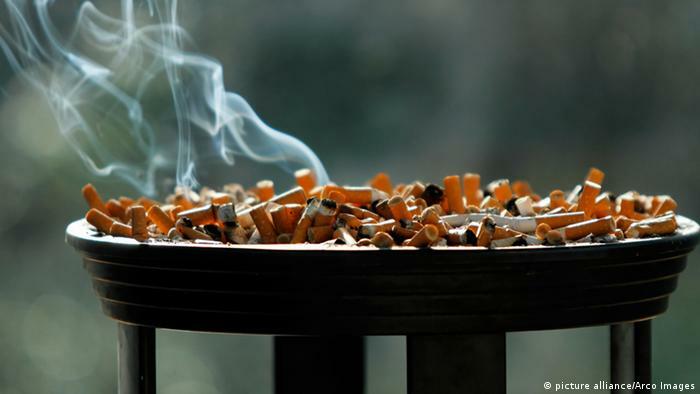 Liggett and Vector are the first defendants to reach a broad agreement to end smoker lawsuits in Florida brought by former plaintiffs in a class action filed in 1994 against major tobacco companies. The class action group consisted of all Florida residents who said they or family members had been killed or injured as a result of tobacco-related medical conditions by 1996. In 2000, a jury awarded the plaintiffs $145 billion in damages. The Florida Supreme Court in 2006 overturned the $145 billion award and ruled that plaintiffs had too many individual issues to proceed as a class. 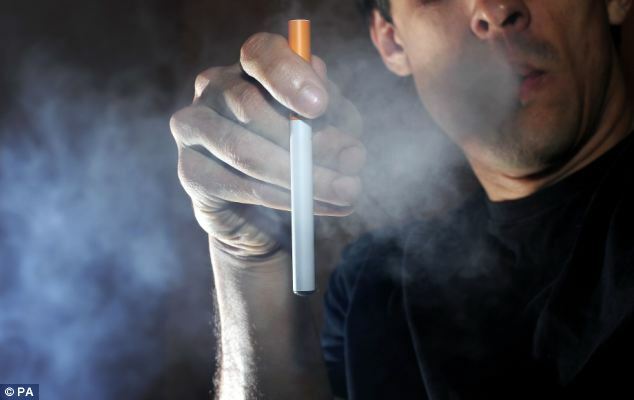 However, the court said that plaintiffs could bring individual lawsuits based on findings from earlier in the litigation that nicotine is addictive and that tobacco use can cause a variety of diseases, including cancer. That ruling prompted thousands of individual lawsuits from smokers and their family members in Florida’s state and federal courts against major tobacco companies, including Liggett, which manufactured the Chesterfield brand of cigarettes. “The Engle progeny has been the biggest litigation overhang on our company in the last decade, and this settlement substantially reduces the ongoing litigation risks, as well as related legal fees and expenses, of these cases,” Bennett LeBow, Vector Group’s chairman, said in a statement. The lawsuits filed after the class was decertified are known as the Engle progeny, after the name of the original lawsuit, Engle v. Liggett. The company said it expects to take an after-tax charge of $53 million in the third quarter of 2013 related to the settlement. “We’re pleased that this settlement will provide some compensation to thousands of victims of the tobacco industry’s conduct, but the fight with the remaining cigarette companies is far from over,” said a lawyer for the plaintiffs, Neal Roth of Grossman Roth. Buying cigarettes in New York City is about to become a lot harder for young people, as on Wednesday the city adopted the strictest limits on tobacco purchasing of any major American city. The legal age for buying tobacco, including cigarettes, electronic cigarettes, cigars and cigarillos, will rise to 21, from 18, under a bill adopted by the City Council and which Mayor Michael R. Bloomberg has said he would sign. The new minimum age will take effect six months after signing. The proposal provoked some protest among people who pointed out that New Yorkers under 21 can drive, vote and fight in wars, and should be considered mature enough to decide whether to buy cigarettes. But the Bloomberg administration’s argument that raising the age to buy cigarettes would discourage people from becoming addicted in the first place won the day. “This is literally legislation that will save lives,” Christine C. Quinn, the Council speaker, said shortly before the bill passed 35 to 10. In pushing the bill, city officials said that the younger people begin smoking, the more likely they were to become addicted. And they pointed out that while the youth smoking rate in the city has declined by more than half at the beginning of the mayor’s administration, to 8.5 percent in 2007 from 17.6 percent in 2001, it has been stalled since then.